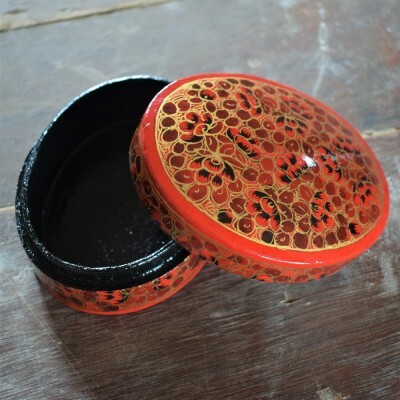 Kashmir Paper mache is a handicraft involving the transformation of paper pulp into intricately decorated artifacts such as Paper mache boxes, bowls, elephant models, cups and numerous other handy objects. 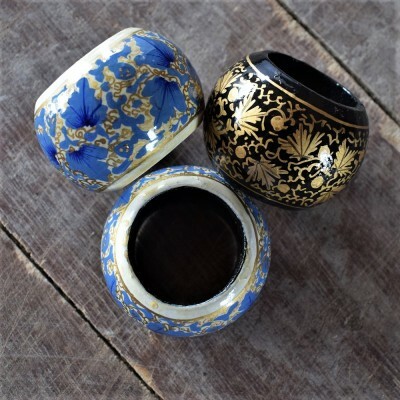 It is said that the technique of Paper mache was introduced in Kashmir by the Persian Mystic Mir Syed Ali Hamdani, also known as Shah-i-Hamdan in Kashmir. 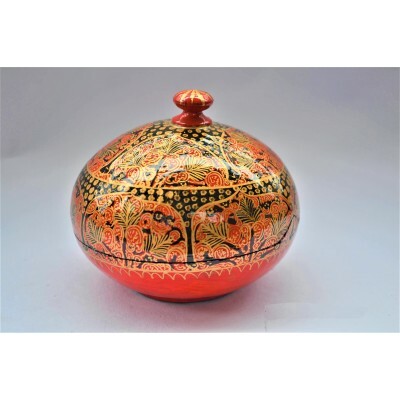 The Paper mache artform with its origins tracing back to Central Asia and Persia has since gained immense popularity and blended itself into the fabric of Kashmir art spectrum. 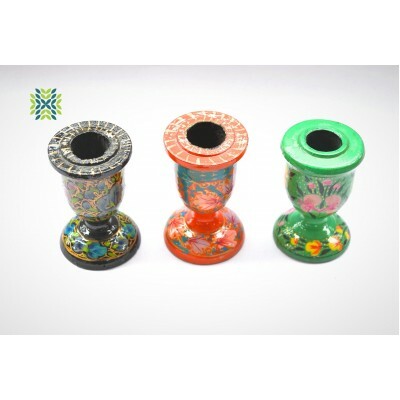 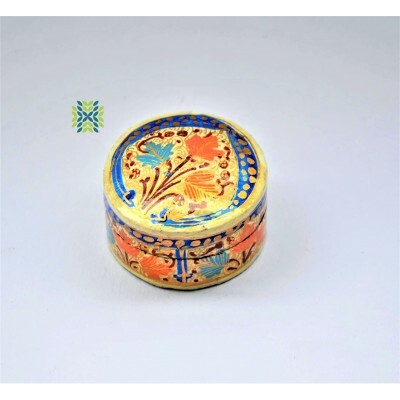 Hamiast presents to you the best of Kashmiri Paper Mache Products. 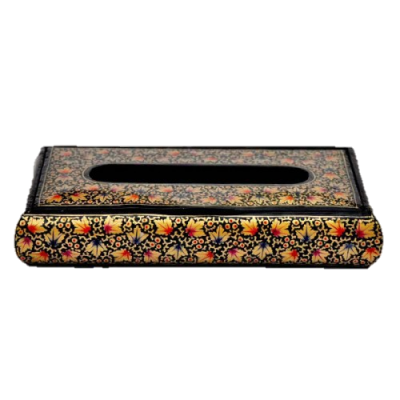 Give your home decor a sense of luxury and royalty with beautiful handmade floral Paper Mache Tissue.. 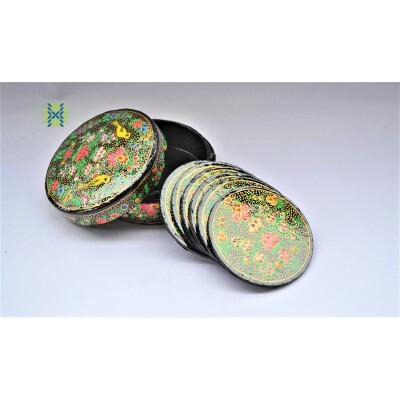 These paper mache handcrafted set of napkin rings are going to give your dining experience .. 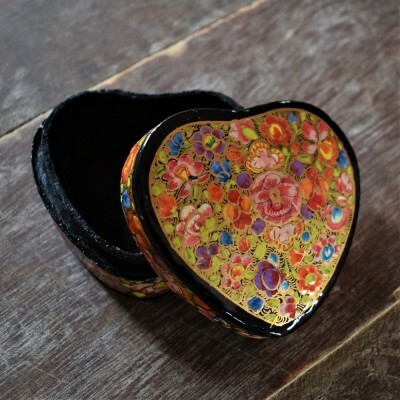 This heart shaped box is an incredible masterpiece of Paper Mache art where waste paper is transform.. 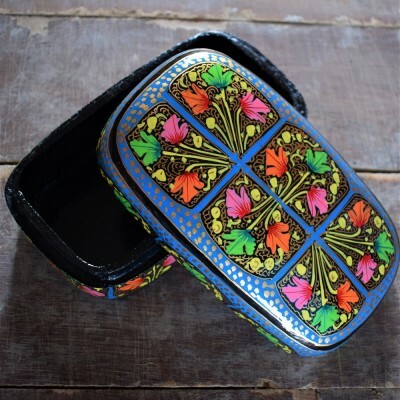 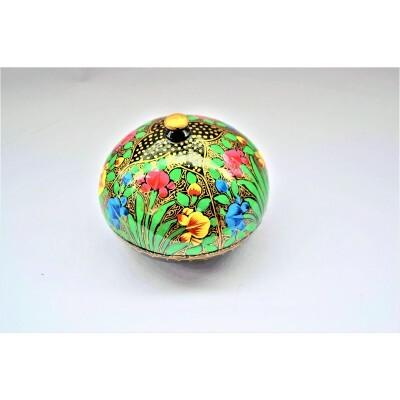 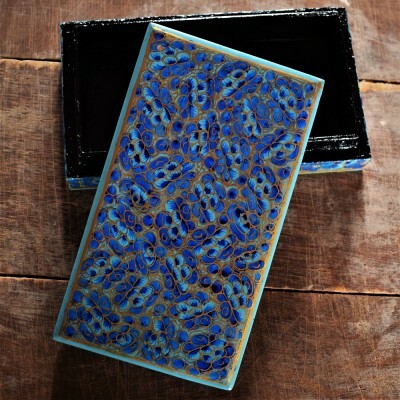 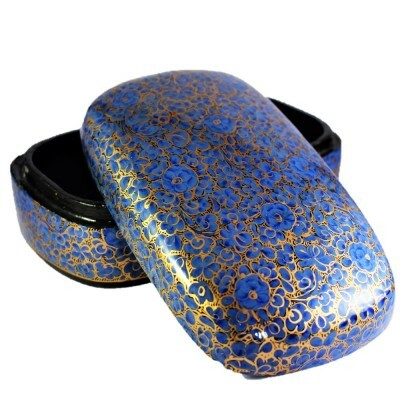 Colorful floral patterns inspired by the gardens of Kashmir,this powder box will make you look more .. 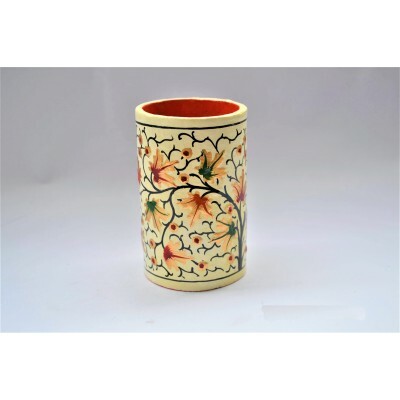 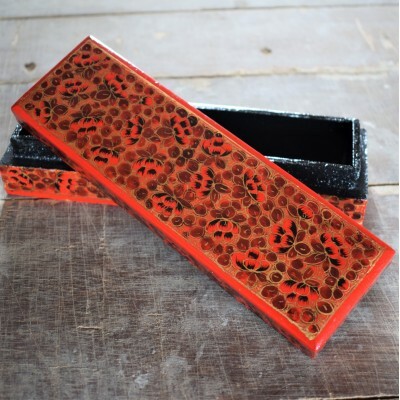 Beautifully designed paper machie pen or pencil holder is a treat to eyes. 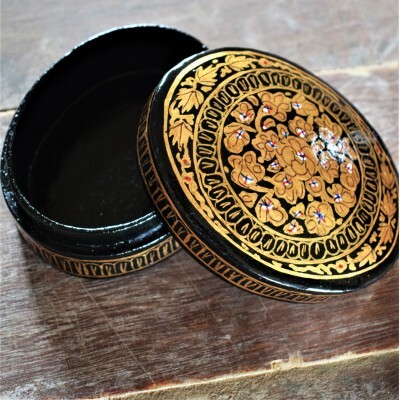 This traditional item of ..